Looking for an affordable Moreton Island School Camp or Excursion? 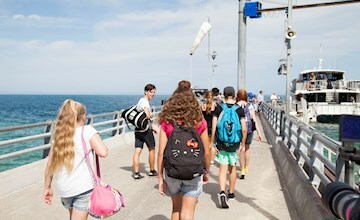 Tangalooma is the perfect destination for school excursions seeking a unique adventure, educational and nature based experience - right on Brisbane's doorstep! Our staff at Tangalooma are committed to student development, along with a broad understanding and appreciation of the marine and land development of the Moreton Bay and Island Region. For further information on the links between our programs and the current school curriculum, school group bookings or for any general enquiries please contact us. Where else in Brisbane can you experience a natural marine park and island national park - all departing just 15 mins from the CBD! Tangalooma Island Resort overnight and day trips can combine various educational tours and presentations from the Tangalooma Eco Centre staff. 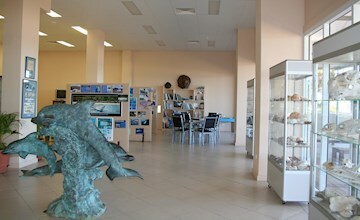 Student can learn about the history of Moreton Island and Moreton Bay, as well as the local flora and fauna. Our educational programs and camps have been specifically designed to meet the latest curriculum objectives, geared towards an island environment. Student guests will enjoy all the benefits of our facilities and lots of educational and fun activities are available to be booked! Anything is possible at Tangalooma. A wide variety of tours, walks, presentations and educational talks by our knowledgeable Eco Rangers are available to be added into your schools camp or excursions, with some run daily at no additional cost. Moreton Island is the third largest sand island in the world boasting extraordinary national and marine parks. Protected and unspoiled, students of all ages will quickly become immersed in and fascinated by the local geology and ecology. 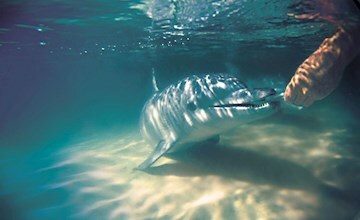 Tangalooma Island Resort on Moreton Island is where wild dolphins come to shore each night to be hand fed. Students and teachers can discover and connect with a myriad of native and marine wildlife and learn about the precious ecosystems that support them. 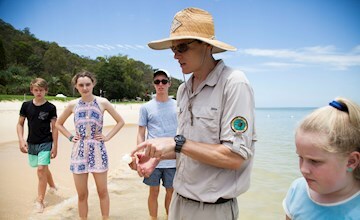 The Eco Rangers at the Tangalooma Eco Centre have the local environmental and historical knowledge, equipment and resources to support learning outcomes, delivered via guided tours, informative presentations and personal participation. Home to our Eco Rangers, The Eco Centre is unique from any other facility as the environment is right on the doorstep, with endangered animals frequently passing the shores. 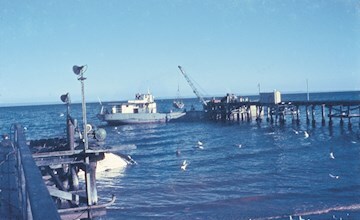 Tangalooma and Moreton Island have a rich history dating back to the native Aboriginals and early European settlement.